Beyond the gate the road curves gently among the sloping lawns and trees of what was once known as the finest golf course in the Caribbean. The din of the tropical birds fluttering above blends with the notes from a trombone which grows louder as we approach and now mixes with a couple of trumpets: next to the old clubhouse three youngsters stand facing the sprawling lawn and practice scales on their instruments. They are students in the school of music, one of the five departments that make up the Instituto Superior de Arte, Cuba’s remarkable arts academy; its monument to the revolution’s imagination – and one of its failures. 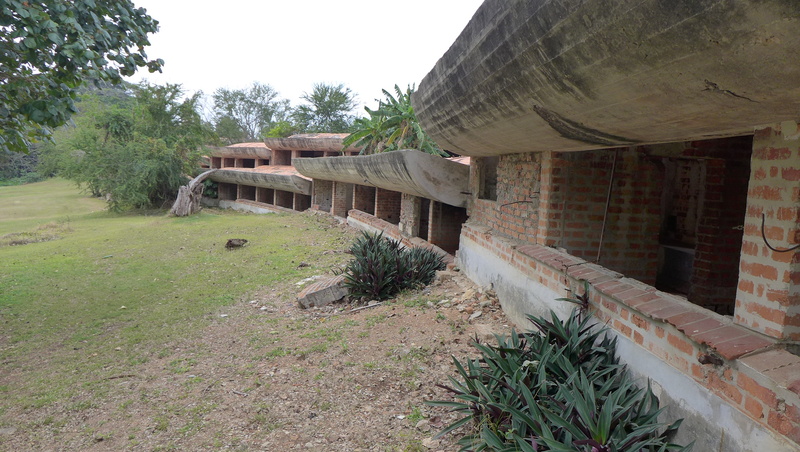 Beyond the trees lies a site which has been added to World Monuments Fund endangered watch list and is arguably one of the most significant places in modern Cuban and world architecture. 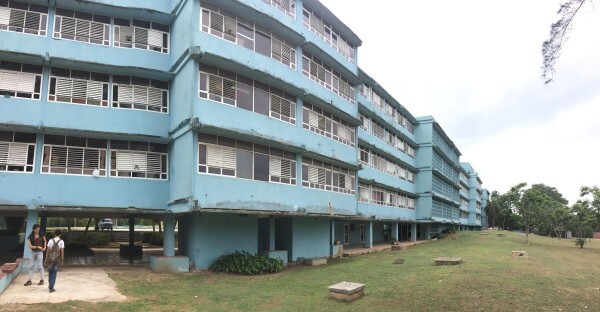 The campus, nestled in the West-Havana neighborhood of Cubanacán, lies on the grounds of what was the Havana Country Club, playground of the moneyed élites that ruled the island in its prerevolutionary heyday – so exclusive that it famously was off limits even to Fulgencio Batista. As a Cuban of mixed race, the dictator who did the bidding of American interests was not allowed in the club. 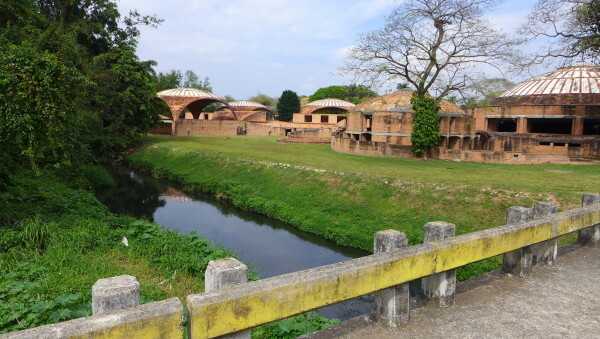 The landscape by itself transmits the feeling of luxurious nature but it is beyond the wide lawns and tropical vegetation that one enters a truly magical park. Here a collection of buildings emerge from the mangroves in hemicycles, similar to oriental temples of some forgotten cult. Massive circular domes dot the landscapes and tall vaults appear to billow over the thick canopy as hot air balloons made of brick and ceramic. 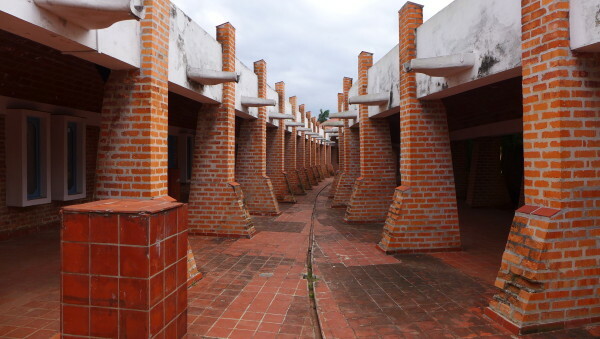 The site is reminiscent of a postmodern Pompeii or the valley of Angkor Wat, as upon closer inspection the buildings are largely in disrepair, many sprouting plants from the cracks, like ancient Mayan pyramids. 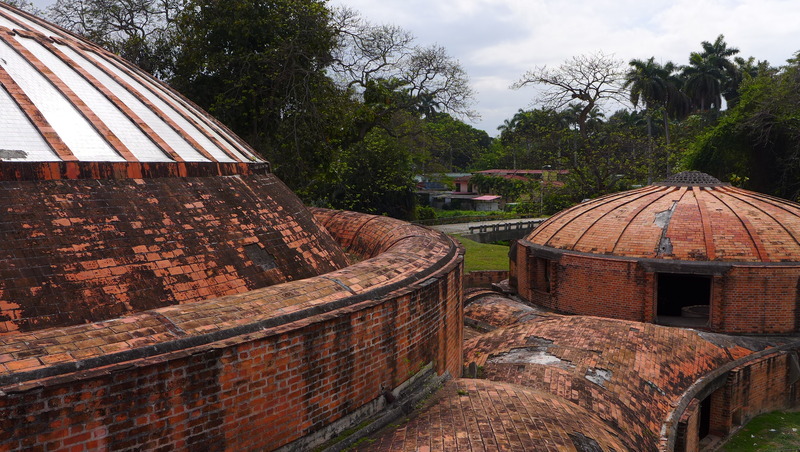 Because this massive architectural project has in fact laid abandoned and largely forgotten for the better part of 50 years, left to for the jungle to reclaim. 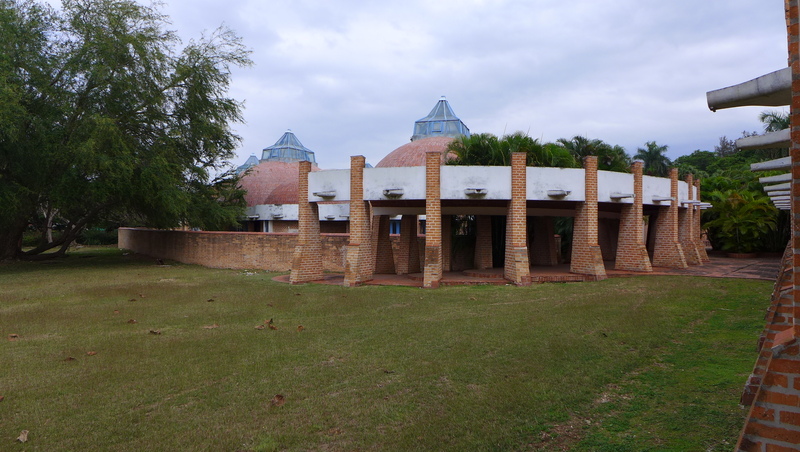 What was born to be, in the words of Fidel Castro himself, “the most beautiful art academy in the world”, today remains as a kind of involuntary archeological site, a monument to the exuberant promise of the Cuban revolution and to one of its prominent failures. Now, as talk of change on the island has become ever louder, spurred by the calculated symbolism of the Obama and Rolling Stones visits, ISA could potentially once again become a topical place for Cuba. About one thousand students study here today, in the School for Plastic Arts, the only completed department of the university-level academy which originally was meant to instruct 6000 students. 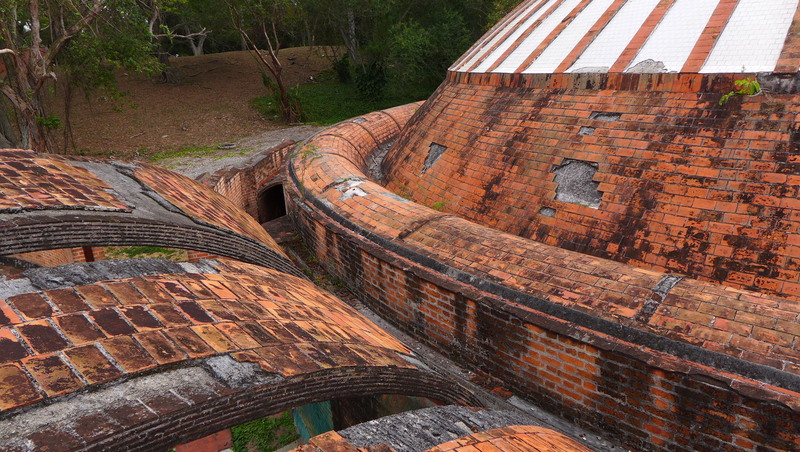 Four additional “Schools” were never finished, their remarkable buildings left in semi-constructed limbo until they were “rediscovered” by John Loomis, an American architect and teacher who wrote about the site and its three designers: Cuban architect Ricardo Porro and two Italians, Vittorio Garatti and Roberto Gottardi. His 1999 book Revolutions of Forms, whichinspired a documentary and even a musical opera directed by Robert Wilson, tells how in January of 1961, Fidel and Che Guevara, after shooting a round of golf, had thought about how to repurpose the freshly requisitioned country club. The idea that struck them like thunderbolt, the story goes, was to transform that emblematic epicenter of privilege and inequality into an institution that would embody the victorious revolution’s progressive momentum and forge the next generation of artists for the nascent egalitarian nation. As the ex Cuban vice president Carlos Rafael Rodriguez recalled, “an incubator of culture (…) which should become the fountain of our future artists, the creators or interpreters of tomorrow’s socialism. 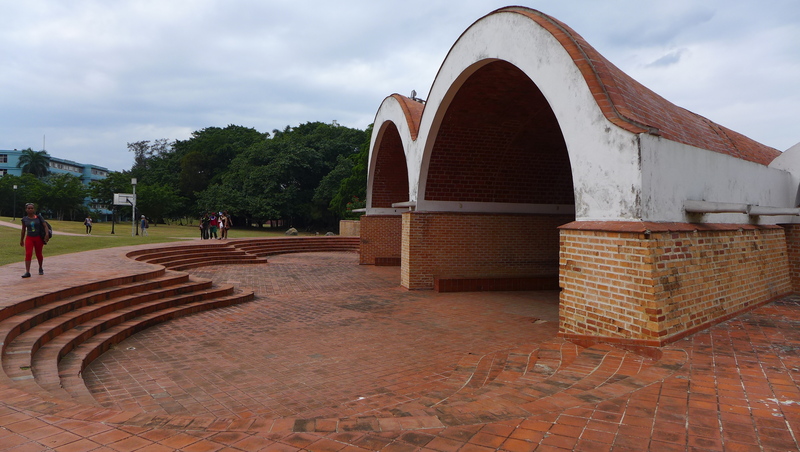 Encouraged by Fidel himself, the architects get to work in a converted chapel near the site. They divide their chores/assignments, each working separately on the chosen schools, without a unified plan but in singular stylistic harmony, so that as the buildings take shape they dialogue organically with the site and with each other. An immediate problem is posed by the scarcity of building materials in the country who is already feeling the bite of the American imposed embargo. The lack of Portland cement for instance, leads the architect s to adopt the Catalan vault as their preferential structure. The technique, developed in North Africa and the Mediterranean, allows for the construction of lightweight but extremely strong supporting vaults using brick, mortar and tile. The slight curvature of the vaults allows them to cover large spaces with optimal load-bearing distribution. The materials employed are cheap and the technique allows the architects to develop an original Cuban “vernacular” which also emphasizes the nation’s cultural ties to Europe and Africa. Porro, Garatti and Gottardi work tirelessly, infused with the enthusiasm of their young careers and empowered by the contagious optimism Cuba broadcasts to the hemisphere. The first buildings are presently completed but at the same time the of the youthful revolution begins to be overshadowed by more practical matters. In 1962 the Cuban Missile Crisis is a harsh reminder of the geopolitical realities that rudely intrude on the initial idealism of Castro’s Cuba. As the conflict with the US is heightened by American intransigence Castro is pushed toward a forced alliance with the Soviet Union on the backdrop of a Cold War which is growing ever hotter in African and Southeast Asian flashpoints. Cuban isolation is exacerbated by the American economic siege as the revolution begins to show signs of a revisionist involution. In Cuba as elsewhere before it, art suffers the bitter fate of preceding avant-gardes, from Russia to Weimar. Porro, Garatti e Gottardi’s experimentation begins to be criticized as aesthetic elitism. The ever more defensive political posture – and growing influence of the Soviet sphere – coincides with a growing utilitarian strain in aesthetics. The familiar trajectory eventually concludes with construction being halted at ISA. Porro and Garatti will subsequently be forced to leave the country. The school opens with the only completed department and a diminished curriculum and the addition of an absurdly incongruous, East-German style dormitory building. Painted blue in the middle of campus, this antithetically angular building is nothing if not programmatic: a multi-ton concrete negation of the original buildings’ flowing forms, an architectural jackboot whose penitentiary-like dorm blocks are reviled and still loathed as deadening by current students. 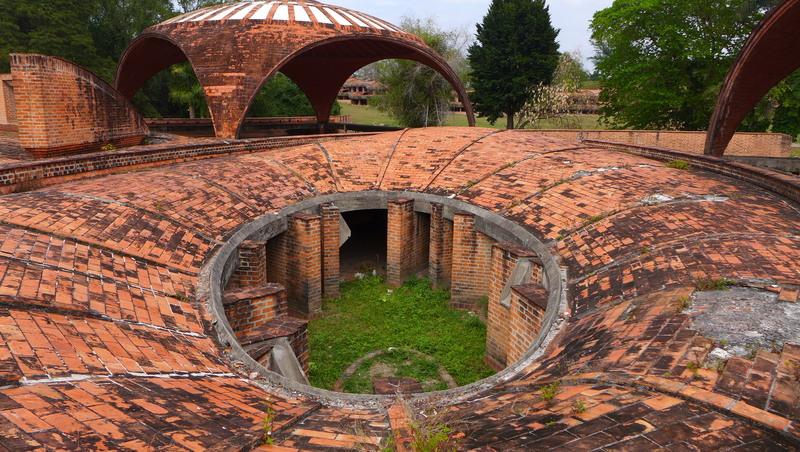 For Yoenis and the other kids who paint and practice in the luminous domed studios of the School of Plastic Arts, and often scamper over the ruins, using them as impromptu rehearsal spaces for theater or dance projects, the unfinished buildings are a daily reminder of what might have been but never was…in the school as in their country. “We need internet, damn it!” says Pedro, a freshman in the painting department. “How are we supposed to learn without it in this day and age? !” he adds with the familiar frustration of Cuban youth – and the universal exasperation of chafing youth. In this place, so emblematic of geopolitical conflict and of the historic clash of ideologies, the modern ruins are all the more symbolic. Whether it be of the congenital failure of Castro’s revolution to deliver on its promise, or of the thuggish, fifty-year American effort to ensure we could never know whether it would in fact have done so, if left to its own devices. Ultimately in many ways these buildings frozen in time stand as testament of the adult world arrayed against the imagination of youth – of crushed creative aspirations that are all the more ironic on this campus. And today they underscore the generational fault lines that divide this country as it contemplates a way forward. We visited the school just days after Obama had come and gone. After his departure Fidel Castro broke his silence sarcastically rejecting unsolicited “gifts from the Empire”. A sharp retort to a perceived condescension which heartened critics of American hegemony, whose hostile policies – including the embargo and the base at Guantanamo – are after all still in effect. But among the students it was apparent that historical correctness is now less compelling than the idea of a way forward. Not the embittered and vindictive rancor of the Cuban diaspora, not through their fathers’ fight, but simply the universal yearning for a more optimistic future. And some think the writing is already on the wall. 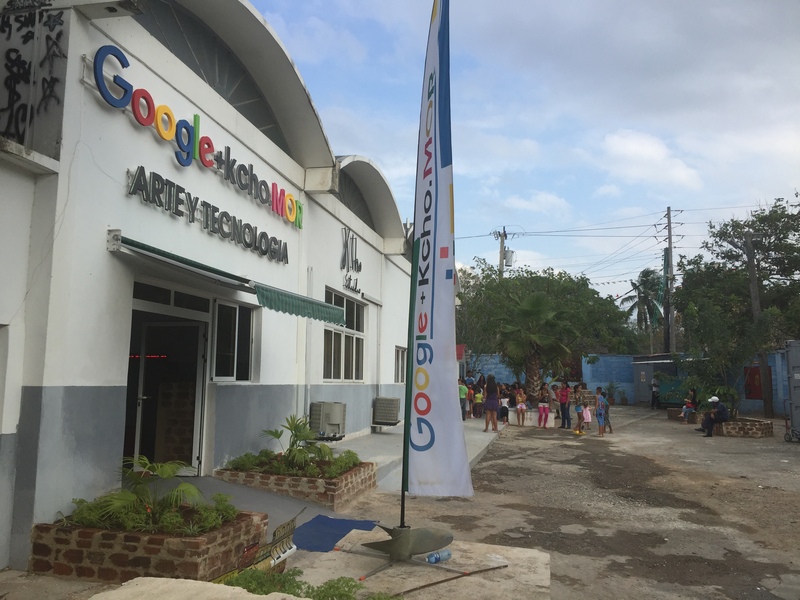 Just down the street from the school stands the working studio of Alexis Leiva Machado, known as “Kcho”. Here Cuba’s most famous contemporary artist is working on an installation for Shanghai’s Power Station of Art museum, curated by Shanghai Biennale director Li Xu. On the wall that bears his name a new sign appeared last year: “Google”. The internet giant has teamed with the artist to sponsor a free wi-fi hotspot in the studio’s courtyard. It’s a tentative sign perhaps of potential changes waiting beyond a still uncertain horizon.